Students are often given writing assignments. And quite often they have to write essays on social topics. Below is the one about divorce. It is important for people to realize that they are not alone. However, generalizing divorces cannot be accomplished, each one is unique. I am 15 years old now, and a product of a bitter divorce (when I was only 10). My parents fought – both mentally and physically – in the presence of my sister and I. Although they tried to avoid such altercations when we were near, it was impossible to do so. Throughout the divorce, both my sister and I gained a substantial amount of weight, making a social life somewhat of a challenge. With problems at home, no child wants to face obnoxious kids at school – they begin to feel like everyone is “out to get them”. Even my weekends were taken with visits to psychologists, family counselor’s, and the judge’s chambers. As a result of my parent’s divorce, our entire family unity was shattered. When my parents criticized each other, I couldn’t help but think of the imperfect background I had sprung from. That is, until I realized no marriage is perfect. 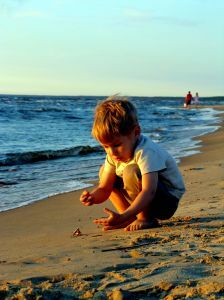 I have learned to remember the good parts of my childhood – vacations without fights, family outings, among other things. With my life finally back in order, nothing else seems to have evolved at all. My sister still hates my dad, will not go on visitations, and my mom continues to complain about how bad her life has become. Clearly, it is hard to benefit from a divorce. But, that all is decided by how it is handled. I love my parents very much. I refused to listen as each one explained the horrible things that their spouse had done to them. The most important thing for a child to understand is that they must make the difference. Don’t just let everything happen, make what you want to happen really occur. Five years later, I think I can say I accept their divorce. I don’t agree with it, and I still grieve the loss of my family. Some days I don’t think about it any more, but some days a childhood memory resurfaces and I’m sad all over again. The bottom line is, parental divorce is a difficult, depressing experience no matter the age of the children involved. And if you’re an adult whose parents are divorcing, and you recognize yourself in any of these words, you’re not alone. The Children’s Society (1988) Focus on Families. Divorce and its Effects on Children. London: The Children’s Society. Burrett, J. (1993) To and Fro Children: A Guide to Successful Parenting after Divorce. London: Thorson’s. Health of Young People in Australia. The Concept of Family and Its Role in Providing Health of Youth. Thank you very much! This paper was actually more difficult for me. Work was really stressful and I could not get this research paper off my head! Thank you so much for the last revision. You truly are great. I got A's on all the papers. I really appreciate all your hard work. I would just like to say, Thank you very much for the paper. This will save me a lot of time in the end. Looking forward to using your services shortly. When running out of time, I get stressed easy. Especially when I have a lot running on this. Thank you for the great paper. I received a fantastic grade and found the paper up to my high standards with only a little reworking. You guys were prompt with delivery and answers to my numerous questions. Not only will I use your service again, but I will refer you to anyone looking for a little help. Thank you so much for your services. You are truely a godsend. The paper was exactly what I wanted and included some of the same studies i have researced as well. The writer captured the essence of what i wanted. You can be sure i will use your services again. Awesome job!!! Thank you. I got a 99 on the rough draft for this paper-- THANKS YOU!! JOB WELL DONE! I have MINOR changes to do but 99 I think I'll just sent it. To the writer regarding this essay. The paper was given an A- the professor wrote that the opening 1st page was redundant and could have been summarized in one paragraph instead of a whole page other then that a very excellent job. I wish my second order was written by you as well. How would I request you as a writer on future assignments? Thanks again. I received a 195 out of 200, my teacher was so impressed and the paper I requested was 4 pages shorter then the teacher was requiring!!!! You truly helped me out, thank you so much. Dear writer, Thank you so much for completing an excellent paper from the "get-go". I am extremely pleased. It is so refreshing to find a writer how is truly an expert at writing! I have used other companies in the past and the bulk of them provide crap. Thank you again.